THIS "BLOG" IS THOUGHT AS A WAY TO MAKE MY WORK IN PHILOSOPHY ACCESSIBLE TO A WIDE PUBLICUM. THERE ARE MORE THAN 100 TEXTS, MOST OF THEM IN DRAFT FORM. MANY ARE INTRODUCTORY TEXTS. THE TEXTS MARKED WITH ONE OR MORE # ARE THOSE THAT CAN BE OF SOME INTEREST FOR THE SPECIALISTS. I HOPE IT CAN BE USEFUL. 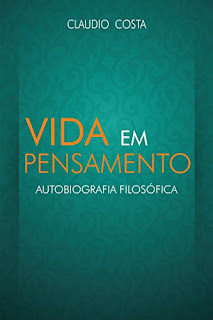 ESSE "BLOG" FOI PENSADO COMO UMA MANEIRA DE TORNAR MEU TRABALHO EM FILOSOFIA ACESSÍVEL A UM PÚBLICO MAIS AMPLO. SÃO MAIS DE 100 TEXTOS, A MAIORIA EM FORMA DE DRAFT. 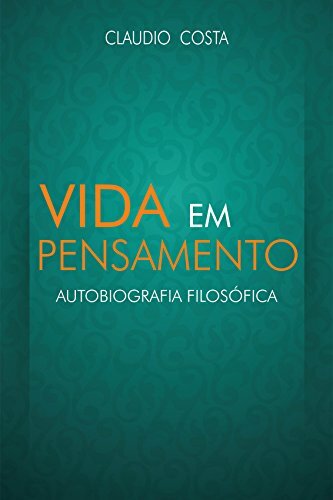 AQUELES MARCADOS COM UM OU MAIS # SÃO OS QUE PODEM SER DE ALGUM INTERESSE PARA A PESQUISA. OS TRABALHOS MAIS ANTIGOS E INTRODUTÓRIOS ESTÃO EM PORTUGUÊS E PODEM SER ENCONTRADOS NAS ÚLTIMAS PÁGINAS. PODEM SER DIDATICAMENTE ÚTEIS. After graduation in medicine, I made my M.S. 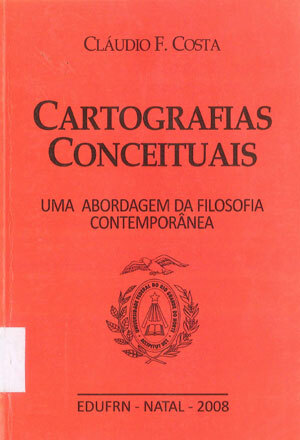 in philosophy at the UFRJ (Rio de Janeiro), Ph.D. at the University of Konstanz (Germany) and post-doctoral works at the Hochschule für Philosophie (Munich) and at the universities of Berkeley, Oxford, Konstanz, Göteborg, and at the École Normale Supérieure. My main articles published in international journals were collected and better developed in the book Lines of Thought: Rethinking Philosophical Assumptions (Cambridge Scholars Publishing, 2014). 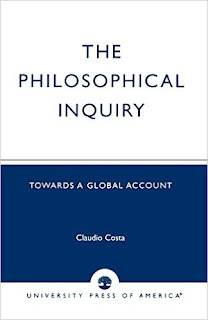 Also from interest may be a short theory on the nature of philosophy in the book The Philosophical Inquiry (UPA, 2002). 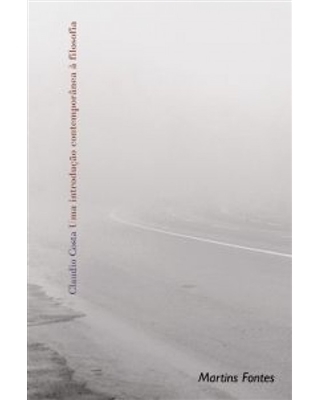 The last book I wrote aims to recuperate the credibility of the old orthodoxy in analytic philosophy of language. 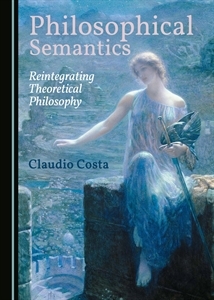 This book called Philosophical Semantics: Reintegrating Theoretical Philosophy was published by Cambridge Scholars Publishing in 2018. I am a full professor at the Department of Philosophy of the UFRN, Natal, Brazil, though with ergonomic limitation due to Asperger syndrome. Once fashion comes in, objectivity goes. Thus, as Frege already saw, one speaker can use the name ‘Aristotle’ to mean ‘the greatest disciple of Plato and the tutor of Alexander,’ while another can use it to mean ‘the tutor of Alexander who was born in Stagira’ (1892: 29). And in the usual case, both speakers can know they are referring to the same person, insofar as they know that they share at least one description (Frege 1918: 65). In my view, the problem with this formulation of bundle theory is not that it is wrong, since in one way or another most objections to it can be answered (Cf. Searle 1983, Ch. 9). The problem is that this theory is too vague, for this reason lacking explanatory power. The descriptions belonging to the bundles are treated as if they were completely disordered. How important this is becomes apparent when we remember that the descriptions belonging to these bundles can be seen as what Wittgenstein called ‘expressions of rules’ (Regelausdrücke): description-rules that could possibly aid us to identify the bearer of a proper name. Usually, there are numerous descriptions that could be associated with any proper name, many of them obviously irrelevant. Unfortunately, bundle theory has no method for deciding which description-rules belonging to a bundle have more relevance for the identification of a name’s bearer. It thus appears that the lack of such a method is the most serious flaw in traditional bundle theory. Accordingly, my working-hypothesis is that speakers of our language implicitly appeal to some kind of general meta-descriptive rule when using a proper name. This rule should tell us the conditions under which satisfaction of descriptions belonging to a bundle of descriptions abbreviated by a proper name makes this name applicable to its bearer. Thus, I intend to show that such an additional rule can be discovered as part of the pre-existing tools of our natural language and that its full explanation would greatly enhance the bundle theory of proper names. The first move in this direction should be to find the most relevant descriptions. My proposal is inspired by J. L. Austin’s method of quasi-lexicographical examination of ordinary language as a philosophical starting point. He recommended beginning with the Oxford Dictionary. Since dictionaries aren’t the best places to find the meanings of proper names, I suggest first looking at encyclopedia entries for proper names. By doing this we can clearly distinguish two kinds of description-rules that can help identify the bearer of a proper name. I call them auxiliary and fundamental descriptions. Fundamental descriptions are usually placed at the start of encyclopedia articles. I begin with less relevant auxiliary descriptions. These can be characterized as ones only accidentally associated with proper names. Regarding the name ‘Aristotle,’ typical examples are (i) metaphorical descriptions like Dante’s ‘the master of those who know.’ Other examples of auxiliary descriptions are ‘the greatest disciple of Plato,’ ‘the tutor of Alexander,’ ‘the founder of the Lyceum’ and ‘the man called “Aristotle.”’ These are what we may call (ii) accidental, but well-known descriptions. There are also (iii) accidental and little known descriptions associated with the name ‘Aristotle,’ such as ‘the lover of Herphyllis’ and ‘the grandson of Achaeon.’ Finally, there are (iv) contextually dependent adventitious descriptions, like ‘the philosopher mentioned by the professor in the last class,’ or ‘the blonde woman who spoke with us at the party.’ An adventitious description is often very transitory, as it is closely associated with an event that in most cases will soon be forgotten. (A) Localizing description-rule: a description that localizes an object in space and time, often singling out its spatiotemporal career. (B) Characterizing description-rule: a description that indicates what we regard as the most important properties related to the object, exposing our reasons for applying the proper name to it. What we first see here are in synoptic form the localizing and characterizing descriptions. (iv) the conditions set by at least (A) its localizing description-rules and/or (B) its characterizing description-rules. (v) We may add to this, as helpful indicative elements, a variety of auxiliary descriptions. I illustrated my proposal with the name ‘Aristotle.’ The (i) most proximally relevant class C to which Aristotle belongs is that of human beings (C serves for practical aims to narrow the scope of referents to be considered, e.g., it excludes celestial bodies or computers). To be more precise, C must be the nearest most relevant class that does not merge with the characterizing description. This is why for the name Aristotle C must be the condition of being a human being and not of being a philosopher. The condition of type (A) for Aristotle can be summarized by the definite description ‘the person born in Stagira in 384 BC, son of the court physician Nicomachus, who spent the most productive part of his life in Athens, visited Lesbos and was exiled to Chalcis, where he died in 322 BC…’ The condition of type (B) for Aristotle can be summarized in the definite description ‘the philosopher who developed the relevant ideas of the Aristotelian opus…’ (That these two conditions are the most basic is supported by major encyclopedias). IR-Aristotle: In any world-circumstance where there is a bearer of the proper name ‘Aristotle,’ this bearer must be: (i) the human being who (ii) sufficiently and (iii) more than any other satisfies (iv) the condition of having been born in Stagira in 384 BC, son of the court physician Nicomachus, spent the major part of his life in Athens and died in Chalcis in 322 BC and/or the condition of being the philosopher who developed the main ideas of the Aristotelian opus. To this we may add (v) possibly orienting auxiliary descriptions like ‘the greatest disciple of Plato,’ ‘the founder of the Lyceum,’ etc. We can do the same with bundles of descriptions associated with many different proper names, such as ‘Paris,’ ‘Leaning Tower of Pisa,’ ‘Amazon River,’ ‘Uranus,’ ‘Sweden,’ and, of course, also with the proper names of historically anonymous persons like most of us, though in the last case in a much more dispersive way that I cannot consider here. This is my basic idea to explain the mechanism of reference of proper names. Why and how this idea is explanatorily powerful is what I intend to show in the next sections. The application of the meta-descriptive rule to the name ‘Aristotle’ in order to obtain its identification rule enables us to give a straightforward answer to Kripke’s modal objection, according to which descriptivism is false, since no description is guaranteed to apply to any existing bearer of a proper name. As he puts it, there could be possible worlds where Aristotle lived 500 years later or where he died as a child and never wrote anything about philosophy (Kripke, 1980: 62 f.). However, these possibilities are no threat to the rule stated above, since this rule is based on an inclusive disjunction. Aristotle would still be Aristotle if he had lived 500 years later in Rome, insofar as he sufficiently satisfied the characterizing description related to his work, for instance, by writing major parts of the Aristotelian opus. He could also have died as child, as long as he sufficiently satisfied the localizing description, for instance, birth in Stagira in 384 BC as the son of the court physician Nicomachus. 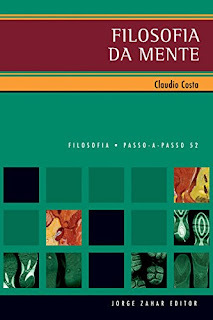 Since our identification rule for Aristotle demands only sufficient satisfaction of an inclusive disjunction of the two fundamental descriptions (which purposely does not make any precise specification of degree), we can easily regard the two above considered possibilities as satisfying the identification rule. Indeed, there are even proper names that typically satisfy only one description-rule of the disjunction. These are ‘one-foot’ (i.e., having only one of the usual two descriptions) proper names like ‘universe’ (which contains all that exists and thus can have no localizing description) and ‘Z’ understood as the arbitrary name for the center of a circle (and without any relevant characterizing description). There are even proper names able to satisfy one term of a disjunction much more than the other, as in the case of a numbered planet of the solar system. Venus, for instance, must satisfy the localizing description-rule requiring that it must be the second planet from the sun, orbiting between Mercury and the Earth for a sufficient period of time… Even if for some reason it has changed its orbit or has lost part its atmosphere or part of its mass, it remains Venus. One could say that the essential element of its characterizing description is already built into its localizing description, namely, the condition that it is a planet. Clearly, no sane person would agree with Searle’s classical scholar. Such an illiterate man could not be our Aristotle; the obvious reason is that the fishmonger does not at all satisfy either the localizing or characterizing descriptions. Two other important elements of the MD-rule for proper names need some clarification. These are what I call the condition (ii) of sufficiency, namely, the satisfaction of the inclusive disjunction to a sufficient degree, and the condition (iii) of predominance, namely, that it satisfies the inclusive disjunction more than any other competitor. First, take the condition of sufficiency. We can imagine a possible world where there was one Aristotle who was born in 384 BC in the court of Stagira… but died when he was seventeen because his ship sank in a storm while he was crossing the Aegean to study in Athens under Plato. He may have been only an Aristotle in potentia, but we would still believe he was our Aristotle! The reason is that the identification rule is satisfied insofar as the localizing conditions are at least sufficiently satisfied (if only partly). It is irrelevant that the other term of the disjunction is not satisfied at all. The opposite case would be that of a possible world where the only Aristotle was born 500 years later than ours, lived in Rome and wrote only the Metaphysics and the Nicomachean Ethics. We would still tend to identify him as our Aristotle. We can of course imagine a possible world where the only Aristotle was born in Stagira in 384 BC, wrote Aristotle’s now lost earlier dialogues and the Organon, and died prematurely before writing the Metaphysics and other major works. In this case, both rules are only partially but at least sufficiently satisfied, since we can still identify him as our Aristotle. The second condition, predominance, reveals its purpose when we imagine that the court physician Nicomachus fathered twin sons in Stagira in 384 BC, naming both ‘Aristotle.’ The first Aristotle moved to Athens when he was seventeen to study philosophy with Plato and later wrote the entire Aristotelian opus. The second Aristotle had less luck... He became a physician like his father and accompanied Alexander on his military campaigns, but succumbed to hunger and thirst in the desert while returning from the East. Who would be our Aristotle? The first Aristotle, of course. The reason is that much more than his brother he satisfies the fundamental conditions of the identification rule for Aristotle. The condition of predominance serves to exclude the possibility that more than one object satisfies the identification rule. If there is more than one object that satisfies the identification rule to the same degree, even if in different ways, our criterial tool for the application of a proper name will fail. Imagine, for instance, a possible world in which it is very common (and normal) for people to have two heads. Suppose that there was a child with two identical heads who was born in the court of Stagira in 384 BC, son of Nicomachus. The two heads developed into separate ‘persons’ and both were called ‘Aristotle.’ Since they shared the same body, these two persons inevitably lived very closely linked lives, jointly writing the entire Aristotelian opus. It would be almost pointless to ask which was our Aristotle, since by definition proper names apply to only one bearer, and the two satisfy the identification rule in equal measure (however, we could still adopt the strategy of spatially distinguishing the Aristotle ‘on the right side’ from the Aristotle ‘on the left side’…). This imagined situation seems paradoxical, insofar as it leads us to grasp a possible conflict in the application of the two fundamental description-rules. The first ship better satisfies the localizing description concerning its date of launching and spatiotemporal career; it also satisfies enough of the characterizing description concerning its structural and functional properties, though not its material constitution. The second ship satisfies the characterizing description better since besides its structural and functional properties it has all the original material parts. Both satisfy conditions of sufficiency for Calibdus, but since the paradox invites us to consider a situation in which neither of them satisfies the condition of predominance, we feel that there are cases in which the identification rule isn’t applicable any longer, cases in which Calibdus no longer exists in the sense demanded by a singular term. One could, finally, ask if auxiliary descriptions play some role regarding predominance. The answer seems to be divided. The answer is ‘no’ in cases where auxiliary descriptions are irrelevant, like ‘the man called by Dante the master of those who know’ or ‘the grandson of Achaeon.’ But in the case of relevant auxiliary descriptions like ‘the greatest disciple of Plato’ they do seem to matter. And there are limitrophe descriptions like ‘the son of Nicomachus, the court physician of Philip of Macedon’ that make a clear difference (in the case of several persons named ‘Aristotle’ born in 384 BC in Stagira we would choose the person who satisfies the above description, unless this person does not satisfy the identification rule more than any other). The border between fundamental and auxiliary descriptions is vague, particularly for the class of proper names of historically irrelevant persons, which includes the great majority of people. Finally, the insignificance of most auxiliary descriptions comes to the fore when we consider the case of someone who satisfies them but does not satisfy the fundamental conditions. Consider, for instance, the famous Greek shipping magnate Aristotle Onassis (1906-1975). He could not be our Aristotle, because he satisfies none of the fundamental descriptions. But suppose he satisfied some auxiliary descriptions of our bundle, say ‘the man called “Aristotle,”’ ‘the tutor of Alexander,’ ‘the master of those who know’ and ‘the lover of Herphyllis.’ This changes absolutely nothing in our judgment! Although his name was also ‘Aristotle,’ he could not be the greatest philosopher of ancient Greece. He could not be – even though he did in fact educate his son Alexander – because this son could not be the greatest conqueror of Antiquity. Even if someone called him ‘the master of those who know,’ it does not matter, as that person would surely not be Dante Alighieri. And he could not, even if he had a mistress named Herphyllis, have a relationship with a concubine from ancient Stagira. It does not matter how many auxiliary conditions related to our true Aristotle this proper name satisfies, they will never suffice to identify him. We regard them as unforeseeable irrelevant coincidences, showing that usually auxiliary descriptions can only be helpful – as we will see – insofar as fundamental descriptions are already applicable. To answer this question, we need to begin by remembering that vagueness does not mean (as shown, e.g., by the sorites paradox) the disappearance of boundaries. After all, it is quite easy to imagine a possible world where we could not be certain if our Aristotle ever lived there. This would be the case, for example, in a possible world where Aristotelian philosophy never developed, but there was a court physician in Stagira named Nicomachus who in 384 BC fathered an anencephalic baby that died soon after birth. The parents even named their new offspring ‘Aristotle’... Would the child be our Aristotle? We cannot tell. Having this in mind, the objection is easy to answer. Our natural language is vague; for our semantic rules to be truly applicable in other empirically possible worlds, they must leave room for vagueness. This is precisely what our identification rules do. Thus, far from being a problem, their vagueness can be advantageous. Moreover, the vagueness of our MD-rule is evidence of its correctness, since all it does is to mirror the semantic vagueness of our own natural language. In our example, this is shown by our bicephalous Aristotle, for whom the condition of sufficiency cannot be met because of its unavoidably blurred borders. Saul Kripke correctly classified proper names as rigid designators, defining a rigid designator as a term that designates the same object in every possible world where this object exists or could exist while designating no object in any world where this object does not exist (1971: 145-6). Excluding the confusing ‘could exist,’ I see this as an intuitively useful device for selecting the adequate theory of proper names. From this idea we can derive the following rigidity test: If x is a rigid designator, its reference could not have existed without being x. Now, since in some possible worlds there are cases where we cannot know whether the bearer of a proper name exists, we must redefine the rigid designator as the term that applies in every possible world where its reference definitely (unambiguously) exists. So understood, the proposed MD-rule again makes the proper name a rigid designator – a point to which we will return below. Now, what about auxiliary descriptions? I think they are still able to give an aura of meaning to a name, which sometimes becomes very suggestive, as in the case of ‘Plato’s greatest disciple.’ Nonetheless, someone who only knows a supplementary description usually associated with a proper name, like ‘the teacher of Alexander’ in association with ‘Aristotle,’ whom he saw portrayed by an actor in a movie about the life of Alexander, does not really know anything relevant about the meaning of the name Aristotle. Yet, even if he only has a little meaningful information about him, he can use this meager knowledge to insert the name correctly in some sort of vague discourse, producing a parasitical kind of reference. Auxiliary descriptions have an auxiliary role of guiding a speaker within a linguistic community, opening an informational channel that directly or indirectly links him on a chain to other speakers, ending, he supposes, with those speakers who definitely know the identification rule, and could in principle teach him to properly identify the bearer (this has sometimes been called a process of ‘reference borrowing’). Finally, here we should not confuse cognitive with emotive meaning. The bundle of descriptions associated with a proper name, particularly regarding fundamental descriptions, gives its informative or cognitive content – what Frege called its sense (Sinn). This has a conventional ground that is in some way implicitly or explicitly established as something that can be shared among the speakers. However, there are also things like images, memory-images, feelings, smells … that can be strongly associated with a proper name (e.g., ‘the Pietà,’ ‘Gandhi,’ ‘Stalin,’ ‘Auschwitz’…), but cannot be easily captured by descriptions. We could say they belong to an imagistic-emotive dimension of meaning, which would be based on the often-shared regularities of our psychological reactions instead of our usually implicitly established conventions. The widely disseminated idea that not all our cognitive meanings can be linguistically expressed in the form of descriptions appears to have arisen from a failure to distinguish imagistic-emotive senses from conventional meanings. Because it is descriptively expressible and, regarding ordinary human language, conventionally grounded, cognitive meaning has a shared basis that allows hearers to decode it. Possessing this general explanation of the meaning of proper names, we are prepared to give an answer to Kripke’s counterexamples of ignorance and error. They concern people who associate an indefinite description with a proper name, such as ‘a physicist or something like that’ with the name ‘Feynman.’ They also concern people who associate erroneous descriptions with a proper name, such as associating ‘the inventor of the atom bomb’ with the name ‘Einstein’ or ‘the originator of Peano’s axioms’ with the name ‘Peano’ (actually these axioms were first conceived by Dedekind and later refined by Peano) (Kripke 1980: 81-89). (A) The description known by the speaker must be convergent. That is, a description that at least correctly classifies the name’s owner (e.g., belongs to class C of the name’s identification rule). (B) The speaker implicitly knows the MD-rule for proper names. This means he must be well-aware that he does not know more than an irrelevant part of the meaning, which will make him sufficiently cautious about inserting the name in discourse (he knows how little he knows). To give a simple example: Not being a theoretical physicist, I know very little about the cognitive meaning of the abstract name ‘string theory.’ But at least, I am aware of how little I know. This is why I could even impress my students by giving some vague information about super-strings as incredibly small vibrating filaments of energy that produce all the matter and energy in the universe by vibrations of different frequencies… The ordinary context allows this, although in fact I am far from understanding the relevant mathematical concepts and equations constitutive of the theory. This is why I would refrain from participating where expert knowledge is required, for instance in a discussion among theoretical physicists. Furthermore, without real privileged speakers and their adequate knowledge of meaning, my insertion of the word ‘string theory’ into discourse would be vacuous, for this parasitical reference borrowing would, in the end, have nothing to anchor itself to. If all specialized knowledge of string theory should disappear due to a cosmic catastrophe that killed all the string theorists and destroyed all their scientific instruments, texts, and data, the real cognitive meaning of this name would also be lost, even if someone could still remember how to pronounce it. On the other hand, when proper names are associated with divergent descriptions, that is, incorrectly classified, the referential thread is apt to be lost. Thus, if speakers associate the name ‘Feynman’ with the divergent description ‘a brand of perfume,’ the name ‘Einstein’ with the divergent description ‘a precious stone,’ and the name ‘Peano’ with the divergent description ‘a musical instrument,’ they will probably not be able to insert these names correctly in any discursive context, no matter how vague it may be. We will not say that in using the name they are able to refer to its bearer, even in an assumed borrowed or parasitical way. Curiously enough, the same conditions also apply to general terms. If a fisherman means by a whale a large marine fish, this is incorrect, as whales are mammals, but at least it is convergent since he classifies the whale correctly as a sea creature, which already enables him to insert the word in colloquial discourse. However, if a child believes that ‘whale’ is the name of a mountain in the Appalachians, his usage is not only incorrect but also divergent, making him unable to adequately insert the word into discourse. Finally, I can use what we have learned to refute a counterexample to descriptivism suggested by Keith Donnellan (1972: 374). He describes a case in which a close friend, Tom, visits a couple and asks to see their child, who is asleep in his bed upstairs. The parents agree to his request, awaken the child and introduce their friend, ‘This is our friend Tom.’ Tom greets the child with ‘Hello,’ and the child, after hearing this, immediately falls asleep again. Asked about Tom the next morning, the child replies, ‘Tom is a nice person,’ without associating any definite description with Tom. Even though he would most likely be unable to recognize Tom on other occasions, according to Donnellan he has still succeeded in referring to Tom! The answer can vary depending on the details of the story. If the child has no memory of being awakened, of having seen or heard anyone, then he is only trying to satisfy his parents. In this case, of course, he is not actually referring to anyone. However, let us suppose that the child still has some vague memory of seeing a strange person the previous night. If he saw Tom on the street, he would not recognize him. Nevertheless, in this case, he is already using the proper name in a convergent way since he associates the name ‘Tom’ with the description ‘a friendly person I saw last night.’ In this particular discursive context, hearers who know the identification rule for Tom will be able to give the utterance its full meaning. The parents are privileged speakers here. They know Tom’s appearance, what he does for a living, where he lives, where he comes from and many other details of his life. Indeed, without this additional knowledge, the child’s comment would be empty, not really being elucidative as a borrowed way to refer to a particular Tom in any satisfactory sense. The child’s vague description must be supplemented by his parents, who arranged for Tom to meet the child last night (an adventitious description), know the causal circumstances and are able to refer to Tom in the full sense of the word by means of his name’s identification rule. The proposed meta-descriptivist view explains why proper names are rigid designators, namely because their identification rules apply in any possible world where the proper name’s bearer exists. They must pass the rigidity test: the reference of an identification rule x could not exist without x being applicable to it. It is easy to find a descriptivist explanation for this. What this really means is that a name’s bearer, the object, cannot exist without satisfying its identification rule, since this rule simply defines what this bearer can be in any world-circumstance. Once established, an identification rule is able to generate all the possible combinations of descriptions of particularized properties (tropes) that an object must have in order to be the sole bearer of its proper name. Consequently, a proper name’s identification rule necessarily applies to its object of application, if this object exists. Aristotle (Df.) = the name that in any world-circumstance where it has a bearer applies to a human being who sufficiently and more than any other satisfies the condition that he was born in Stagira in 384 BC… died in Chalcis in 322 BC and/or... was the author of the relevant views belonging to the Aristotelian opus. Rightly understood, this identification is an analytically necessary a priori statement. It contains the complex definite description ‘the name that in any possible world where…,’ which besides defining what the name means is a rigid designator. It passes the proposed rigidity test: the name ‘Aristotle’ is rigid because one cannot imagine a possible world where Aristotle exists but is not Aristotle because he doesn’t satisfy the above definition; if Aristotle exists, the definite description necessarily refers to him. We can see that, unlike the old descriptivism, the meta-descriptivist view does not risk destroying the rigidity of proper names. Quite to the contrary, it enables us to show their rigidity descriptively, since it explains the conditions under which any possible world may be home to the bearer of a name, to whom the name necessarily applies. The reference occurs by means of particularized properties or tropes (See Appendix to Chapter III), insofar as they satisfy criterial configurations that can be generated by the rule and are seen as sufficient for its application. However, the particularized properties that satisfy the respective criterial configurations do not need to remain the same. They can change in multiple and varied ways, constituting no permanent individualizing essence. Thus, in one possible world we can identify Aristotle as a person born in 384 in Stagira as the son of Nicomachus, and in another possible world we could identify Aristotle as the person who wrote the Metaphysics and the Organon… This flexibility of the identification rule frees us from having to include essential properties of the referred to object that must be seen as necessary and sufficient conditions for the name’s application; the essence belongs here rather to the rule’s functional structure. It could be rather called a ‘nominal’ essence. Perhaps the decisive advantage of my proposal is that it gives the only really satisfactory explanation of the contrast between the rigidity of proper names and the accidentalness (flaccidity) of definite descriptions. According to Kripke, unlike proper names, definite descriptions can have different bearers in different possible worlds. So, while the name Benjamin Franklin always refers to the same person in any possible world where this person exists, the description ‘the inventor of bifocals,’ which refers to him in our world, could refer to a different person or even to no person in some other possible world. In Kripke’s case, this is because proper names, being rigid, are after their bearers’ baptism necessarily linked with them in a mysterious way that calls for explanation. Definite descriptions belong to a different epistemic category. We could say that they refer by means of what J. S. Mill would call their connotation, defined by him as the implications of attributes belonging to the object referred to (Mill 2002: 19, 21). Nonetheless, in making this sharp distinction Kripke overlooked the most relevant point, namely, that definite descriptions are only accidental when associated with proper names. The point can be made clear first intuitively and then using Wittgenstein’s distinction between symptoms and criteria. Intuitively, the reason why most definite descriptions are accidental designators (such as ‘the inventor of bifocals’) is that when we apply them we integrate them semantically, in a contingent way, with the identification rule of some proper name (such as ‘Benjamin Franklin’). Indeed, this integration isn’t normally established as necessary by identification rules (and our MD-rule). Consequently, we can easily imagine possible worlds where there is a mismatch between the object possibly referred to by a proper name and the object possibly referred to by the definite descriptions usually attached to it, particularly when these descriptions are merely auxiliary ones (for instance, in a world where Samuel Adams invented bifocals and Benjamin Franklin never existed). The foregoing explanation of the distinction between the rigidity of proper names and the accidental character of descriptions can be elaborated with the help of Wittgenstein’s distinction between symptoms and criteria. According to this distinction, once accepted as given, a criterion warrants the application of a word, while a symptom, once accepted as given, makes this application only more or less probable (See Ch. II, sec. 9 and Ch. III, sec. 10 of this book). In their association with proper names, definite descriptions usually give us only symptoms for their application, particularly when they are auxiliary, though sometimes even when they are fundamental. This explains why these descriptions alone are not applicable in all possible worlds where the bearer of a proper name exists. By contrast, the complex definite description expressing the whole identification rule of a proper name is able to generate multiple independent criteria to identify the referent (e.g., Aristotle) in different possible worlds. These criteria can be met by particularized configurations of properties (understood as tropes) like those satisfying the examples given above. One can say that in different possible worlds the bearer of a proper name can satisfy the same identification rule in different ways, by means of many different possible configurations of particularized objective properties/tropes. 4. the easternmost point of South America. (1) We can imagine a similar possible world where the 52nd Regiment of Fot had a different organization and time of existence, for example, a world where it did not serve in the Napoleonic wars. (2) We can imagine a possible world where the last Neanderthal outlived all members of the species homo-sapiens. (3) We can imagine a world where the Archduke was assassinated at a different time by someone other than Gavrilo Princip and by other means. (4) And we can imagine a possible world where the easternmost point of South America is not in Brazil but in Tierra del Fuego, which in this world stretches far eastward towards Africa (assuming that we are considering ‘the same point’ regardless of determined properties and latitude). Even so, if applicable these descriptions will always be applicable to the same bearer in every possible world where this bearer exists, whether it is an organization, a human being, an event or a geographic location. These definite descriptions are rigid designators simply because, with their localizing and/or characterizing description-rules, made at least partially explicit by them, they are always able to pick out the same referent, without the danger of mismatching with referents picked out by the identification rules of associated proper names. The Kripkean view would have no explanation for this, except by an ad hoc claim that autonomous descriptions are nothing but disguised proper names. The 52nd Regiment of Fot existed from 1757 to 1881, stationed in Oxford; it saw active service particularly during the American War of Independence, the Anglo-Mysore wars in India and the Napoleonic Wars. The 52nd Regiment of Fot was a highly regarded regiment whose troops were recruited chiefly from Oxfordshire, consisting of one or two battalions of light infantry, each comprising approximately 1,000 men. Of course, the inclusive disjunction of these descriptions needs to be only sufficiently and predominantly satisfied in any possible world-circumstance where ‘the 52nd Regiment of Fot’ exists. Auxiliary descriptions are also present, for instance ‘the regiment never surpassed in arms, since arms were first borne by men,’ though they are of lesser relevance. The same is the case with other autonomous definite descriptions. On the other hand, most definite descriptions, like ‘the inventor of bifocals’ or ‘the tutor of Alexander’ or ‘the City of Light’ (la Ville Lumière), are employed in close association with proper names (respectively Benjamin Franklin, Aristotle, Paris). In this case, the descriptions are viewed as merely auxiliary ones, emphasizing their explicit connotations. As such, they are seen as complements to the identification rule of their associated proper names. The above exposed meta-descriptivist theory of proper names demonstrates its explanatory power when we need to refute standard counterexamples to descriptivism. As we noted, the meta-descriptivist rule is a tool that all competent users of proper names must be able to use, even without being aware of it. Having made this tool explicit, we can now rehabilitate descriptivism by giving more satisfactory answers to objections and problems. We already saw this in its capacity to answer Kripke’s modal objections, according to which descriptivism is condemned because any description or group of descriptions associated with a name can fail to apply to the name’s bearer, while as rigid designators proper names never fail to refer to their bearers. To justify this view further, I will first consider Kripke’s main counterexamples. a great logician who made major contributions to logic, particularly the incompleteness theorem. the person born in Brünn in 1906 who studied in Vienna, emigrated to the USA in 1940 via the trans-Siberian railway and worked at Princeton University until his death in 1978. As a competent speaker of the English language, Mary must implicitly know the MD-rule. She must be tacitly aware that to conclude that Gödel was Schmidt, she would have to do much more than just attribute the discovery of the incompleteness theorem to Schmidt. Consequently, she wisely refrains from concluding that Gödel is Schmidt. (ii) Now consider the case of semi-fictional names like Robin Hood. From my perspective, if a name really is semi-fictional, it must be associated with some descriptive content effectively applicable to a real owner, along with merely imaginary descriptive content added later, even if we are unable to definitely distinguish the first type of content from the second. – If they lack any descriptive content that we could consider applicable to reality, they should be called ‘purely fictional names.’ Thus, with regard to semi-fictional names, in many cases, our situation is one of uncertainty and insufficient knowledge. This is the case of Robin Hood. The vague descriptions ‘a person who probably lived in England in the 13th century’ and ‘a legendary righter of wrongs’ respectively suggest contents of almost completely unknown localizing and characterizing descriptions. According to Kripke, the story is different. It does not matter whether a semi-fictional name has any true descriptive content. Important is only that the name meets its own requirement of coming at the end of the right external causal-historical chain linking it with the baptism of its reference. Hence, independently of any bundle of descriptions known or unknown to us, if this condition is met, the reference of a semi-fictional name is warranted. Our descriptivist answer is more balanced and complete. As descriptivists, we should admit that what we think is a semi-fictional name can, in fact, be purely fictional. We suspect that the name has a reference, since there are hints that it could refer to a real historical person, so that one could find its proper fundamental descriptions at least in principle. For instance, suppose historians discover documents about a man named Robart Hude, an early 13th century outlaw who championed the weak against the powerful and lived in hiding with a band of followers in Sherwood Forest near Nottingham, strongly suggesting that his life story may have given rise to the legend of Robin Hood. With this in mind, we have enough information to apply both the correct localizing description – early 13th century, lived near Nottingham – and the correct characterizing description – an outlaw who stole from the rich and gave to the poor – both summarized fundamental descriptions originating the legend of Robin Hood. This would give us an improved descriptivist confirmation of the origin of Robin Hood as a confirmed semi-fictional character, while a causal-historical ‘explanation’ should not change anything. We can also find cases suggesting inadequacies of Kripkean explanations. A scholar might discover there really was a historical model for the first medieval author who wrote about the legend of Robin Hood, but that none of the traditional descriptions apply to it. Suppose there was a faithful hunting dog called Robin who tagged along when the medieval author went hunting in Sherwood Forest. Inspired by the loyalty and bravery of the dog, who was always ready to help his master, the author created the fictional story now known as that of Robin Hood. In this case, it seems that a Kripkean philosopher should conclude that Robin Hood was the dog’s name. A historical chain began when the writer baptized the puppy, and all subsequent hearers or readers shared an intention to refer to the same subject as Robin Hood, though adding the most diverse descriptive fantasies. But this certainly strikes most readers as more than a bit strange. On the other hand, our MD-Rule allows us to explain the case more clearly and persuasively. This rule would indicate that Robin Hood was the name of a purely fictional character and has nothing to do with any dog since according to the identification rule, the bearer of the name ‘Robin Hood’ should at least belong to class C of human beings. (iii) The most elusive counterexample is that of Hesperus (1980: 57-58). Suppose, says Kripke, that someone once fixed the reference of Hesperus by using the following statement (i) ‘I shall use “Hesperus” as the name for the heavenly body appearing in that particular position in the sky.’ This does not mean that to be in a certain position in the sky is a necessary property of Hesperus. If long ago a comet had collided with the planet Hesperus, it might no longer have been in its original position when first discovered. Nevertheless, Hesperus would still be Hesperus, since the name is a rigid designator. For Kripke, the bundle theory is unable to explain this case. It must be noted that this is a one-foot identification rule, since the localizing feature of Venus is its being the second planet of the solar system orbiting between Mercury and Earth, appearing during sufficient time as the evening Star, and its characterizing feature of being a planet is already built into the localizing description. Moreover, other properties of Venus, insofar as they do not prevent the application of the identification rule, are irrelevant, being the objects of auxiliary descriptions. A planet with all the characterizing properties of Venus which didn’t belong to our solar system but rather to a solar system in another galaxy would surely not be Venus. If Venus-Hesperus loses its atmosphere and therefore its brightness and cannot be seen anymore, it will remain Venus-Hesperus. And if Venus-Hesperus loses most of its mass but remains a planet, it will still be a Venus-Hesperus after the storm. Moreover, the IR-Venus is a rigid designator: there can be no possible world where Venus-Hesperus is not the second planet of the solar system… An object can be correctly identified as the Venus-Hesperus if it satisfies the localizing description-rule sufficiently and more than any other. Now, suppose that a comet collided with the planet Venus-Hesperus sometime after it was identified, and that this collision changed its position in the sky so that Venus was transformed into an errant planet outside the solar system… In this case, IR-Venus (nicknamed ‘Hesperus’) would remain applicable, even if the description of Hesperus would not be satisfied anymore. (iv) Another of Kripke’s objections – circularity in names like Peano and Einstein – is easy to answer. Limiting myself here to the first, Kripke’s view is that we define the name ‘Einstein’ descriptively as ‘the originator of relativity theory,’ but we explain relativity theory as a theory authored by Einstein, which leads to circularity. The answer is not just that it isn’t necessarily so (we can explain the theory without mentioning its originator’s name), but that the use of its originator’s name in its definiens is perfectly adequate; for it is natural to re-utilize a defined definiendum in the search for a complete definiens. This reutilization is not circular; it is part of an ‘ascending bascule movement’ in which already available information is used to obtain more information (any Google search should convince you of this). (i) One instructive counterexample is the following: Suppose, he writes, someone discovers that Thales was actually no philosopher, but instead a wise well digger residing in Miletus, who, despairing of his exhausting work, once exclaimed ‘I wish all were water, so I wouldn’t have to dig these damned wells.’ Now, suppose this sentence came down to Herodotus, Aristotle and others in an altered form as the view of the first Greek philosopher Thales that water is the principle of all things. Donnellan adds to this story the assumption that there really was a hermit who thought all was water. However, he lived in a period so remote that neither he nor his doctrines have any historical significance for us today. We would refuse to accept that the hermit was Thales, even if the hermit really satisfied the description. The reason, according to Donnellan, is clear: Thales and not the hermit was at the start of the causal-historical chain. the person who originated the doxography found in Aristotle, and others, which describes him as having been the first Greek philosopher who said that water is the principle of all things, that everything is alive, etc. the Milesian who lived from 624 to 547-8 BC and probably once visited Egypt. In view of this, if we return to Donnellan’s example we must conclude that according to our version of descriptivism the hermit could not have been Thales! The reason is that Thales the well-digger better fulfills both fundamental conditions, in this way satisfying the condition of predominance. Let us compare the two cases. The hermit does not satisfy any part of the localizing description; all he satisfies is an incomplete part of the characterizing description. On the other hand, Thales the well-digger completely satisfies the localizing description, because he lived in Miletus from 624 to 547-8 BC. And regarding the characterizing description, even if Thales were not a philosopher and never said the principle of all things is water, he remains the person wrongly described in the doxography as the first Greek philosopher who said all is water. Hence, despite everything, our Thales satisfies the fundamental descriptions much better than does the hermit, thereby qualifying as the name’s proper bearer. Aside from that, one should not forget that depending on whatever details we could add to or subtract from this example, our intuitions would change, leading us to think our Thales never really existed or even that the hermit was the true Thales. The obvious problem with this example is that one can always attach a false description to a proper name, confusing it with a description associated with another person of the same name. The student had the wrong characterizing description, ‘the author of “Other Bodies”’, and two correct adventitious auxiliary descriptions. He really did not know the identification rule for Aston-Martin. But since he also had (A) convergent descriptions like ‘the man called “Aston-Martin”’ and (B) an implicit knowledge of the MD-rule for proper names, he was already able to insert the proper name into discourse, even if only to find that he was mistaken. (a) Alpha = the square that A sees as on top. (b) Alpha = the square that A sees as on top… even though it is, in fact, the square on the bottom, because A is wearing glasses that invert the positions of the images. Although observer A does not know description (b), this description is the complete localizing description of the Alpha square from A’s perspective, known by privileged speakers such as B. Speaker B knows that square Alpha is on the bottom because he has the information expressed by localizing description (b), which gives the referent’s mode of presentation. A has a convergent but incomplete and erroneously interpreted description-rule. This is proven by the fact that once she is informed by B about the glasses’ inversion of images, she will immediately replace description (a) with Alpha’s true identification rule (b). Indeed, in themselves the causal-historical links will remain inscrutable unless in searching for them we appeal to something like correlative cognitions and consequently to descriptions representing these cognitions. Suppose we had, for instance, an advanced brain scanner able to show that whenever a speaker says the name ‘Aristotle’ and really knows whom he is speaking about, a recognizable neurophysiological pattern arises in his brain. We could identify this pattern as a link of the external causal-historical chain and search for similar links in other speakers. But since in this case we would need to appeal to the speaker’s cognitive-intention, implicitly we would be appealing to descriptions. This shows that the advocate of the causal-historical chain as the only proper explanatory principle commits a petitio principii by presupposing descriptivism. To make things worse, Kripke’s view of baptism is magical, since it cannot really be based on any property of the referent – it testifies to a form of referential mysticism that blocks the ways of inquiry. Indeed, if we pick out some property, we will have a thought or intention, and consequently this can be in principle descriptively translated. Although philosophically original and challenging, as is much of Kripke’ work, if taken at face value the causal-historical view of proper names can be reduced to a philosophical fantasy that begs the question. This appendix is to some extent a summarized version of a more detailed text entitled ‘Outline of a Theory of Proper Names’ (Costa 2014, Ch. 2). With the label ‘world-circumstance’ I wish to make explicit the possibility of discovering errors in our information about the actual world, as in the improbable cases in which we discover that Aristotle was in fact not called ‘Aristotle’ or in which we discover he was in fact not born in Stagira, etc. I do not identify the name with its symbolic form, but with the identification rule combined with some symbolic form. Hence, I place the proper name in quotation marks to indicate that it must be possible to be misleading about the true symbolic form of a proper name. Imagine a possible world where only one philosopher satisfies the fundamental conditions for being our Aristotle, but who is called ‘Pitacus.’ We would after all still identify him with our Aristotle! Indeed, even in our real world we cannot completely exclude the possibility that our Aristotle was in fact called Pitacus… This would be true even if Aristotle had no name except ‘Someone.’ What individuates a proper name is the identification rule we associate with it. The description ‘the man named “Aristotle,”’ popular in the so-called metalinguistic theory of proper names, is only a well-known (accidental) auxiliary rule. For discussion an introduction to this paradox, see Wiggins 2001: 93 f.
 In this connection, we could ask about the role of causality. Though I now believe that causality must play an inevitable role in naming – we couldn’t have real naming without any place for causality – this role is usually presupposed. Imagine the explanation of a fortune-teller who, after gazing into a crystal ball, always correctly guessed the name of unknown new visitors… If we believed in something beyond stage magic, we might assume the seer had some sort of occult gifts, e.g., clairvoyance, which explain her ability to name visitors before hearing their names. But this clairvoyance, we assume, should be in some way causally explainable! Suppose now that by an incredible coincidence one dreams of a beautiful snow covered volcano called Ozorno, located in Southern Chile. This volcano really exists, which means that the reference is purely coincidental. But is a purely coincidental reference more than just a surprising accidental appearance of reference? I am now inclined to answer negatively. Kripke also calls a rigid designator a term that designates the same object in every possible world (even in worlds where the object does not exist) (1980: 49). This would cover cases like that of the contra-factual supposition that Hitler was never born, in which case the name ‘Hitler’ would refer rigidly in a possible world where that dictator never existed. However, since I cannot make this suggestion less obscure than it is, I evaluate it more as a dispensable work of conceptual contortionism. I adopt this from Christopher Hughes (2004: 20). There are several decisive arguments to counter the old objection (Ziff 1960: 93-94) that proper names have no meaning. For one thing, identity sentences like ‘Mt. Everest is Chomolungma’ are informative, which means the names must have different senses. Moreover, proper names refer to entities belonging to specific classes, e.g., Mt. Everest is a mountain and not a prime number. And the existence of proper names’ references can also be negated. Thus, the statement ‘Vulcan does not exist’ suggests that the name Vulcan must at least have a meaning since the statement does not deny the existence of the word ‘Vulcan.’ (Cf. Searle 1969: 165 f.) My own view is that proper names have so much meaning inscribed in them that at first glance they appear to have no identifiable meaning at all. For the examination of a real case, see Costa 2014: 51. Note that this intention should have no proper cognitive content, otherwise we would be able to express this content linguistically, falling back into descriptivism. A problem is that without proper content this intention would be nothing but a desire, a bet on the sameness of reference. The supposedly semi-fictional name originally used as an example by Kripke was that of the biblical prophet Jonah (1980: 67-68). However, the majority of serious Bible scholars believe that Jonah was, in fact, a purely fictional character. The seed of his example was already planted much earlier by R. B. Marcus’ example using the name ‘Venus’ (Cf. Marcus 1993: 11). Defending non-descriptive senses as mental files (packets of information), François Recanati accepts the suggestion that in perception an object without properties can arguably be imagined (Recanati 2012: 29-31). This is true if you expect to identify things like material objects or natural kinds. But when you think about very basic properties like density, hardness, volume, form, color, warmth… something must be present (or even absent in a context of things that are present). Without properties like these, no object can even be hinted at.